AMD has revealed more details of its upcoming Zen-based supercomputer-centric processor, in a paper published with the Institute of Electrical and Electronics Engineers (IEEE). 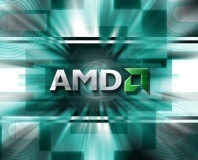 Designed to turn around the struggling company's finances, news of AMD's next-generation 32-thread Zen accelerated processing unit (APU) leaked back in April. 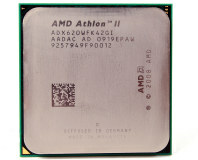 Promising 16 physical processing cores and support for 32 threads, the chips were claimed to be designed with high-performance computing (HPC) in mind with features like a 32MB shared L3 cache with Heterogeneous Systems Architecture (HSA) coherency, cryptographic co-processor, and Greenland embedded graphics with up to 16GB of high-bandwidth memory (HBM) running at 512GB/s. The launch plan was confirmed in March when AMD revealed a roadmap which suggested the part would have a whopping 200-300W thermal design profile (TDP), and now a paper entitled Achieving Exascale Capabilities through Heterogeneous Computing published in the IEEE Micro journal has offered a few more details. Spotted by Bits and Chips the paper confirms that the upcoming chip will be an APU in all but name, featuring a rebrand to Exascale Heterogeneous Processor (EHP) in order to appeal to the HPC crowd and distance itself from the mainstream APU parts which offer middling performance at best. A block diagram of 'an example exascale heterogeneous processor' included with the paper demonstrates the layout, confirming that the APU chip will be positioned on a silicon interposer with a large quantity of HBM2 DRAM and a connection to multiple modules of off-package non-volatile RAM (NVRAM). AMd's vision, the paper explains, is to pack as many of these EHP modules as possible into a data centre: the diagram shows racks filled with computing nodes powered by the EHP part, with the network comprising of multiple cabinets in the usual cluster-style arrangement of high-performance computing systems. 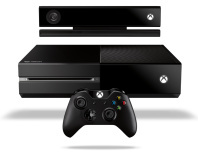 The EHP is expected to launch some time next year, for selected customers with deep pockets only.